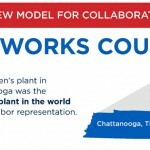 I’ve blogged twice this week about the vote at Volkswagen’s Chattanooga plant in Tennessee, over recognising the UAW and setting up a Works Council. This morning we got the disappointing news that the vote was lost by 712-626. The vote was very close – 53% to 47% on a nearly 90% turnout – and it shows just how important everyone thought the issue was. Early analysis suggests that the union was defeated by a combination of Republican threats and concern about the Detroit-based northern Democrat political values of the UAW (Republicans exploited the UAW’s support for politicians who back abortion rights and gun control.) 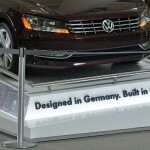 While the Independent’s veteran US writer Rupert Cornwell reported that “most neutrals might think [the vote] was an experiment worth trying given the undoubted role of unions and works councils in maintaining the success of Germany’s manufacturing juggernaut,” Forbes.com’s Neil Winton suggests that VW management were only pretending neutrality, and were always planning for the UAW to be defeated. But the UAW will be continuing to seek recognition in foreign-owned factories in the US south, like Daimler in Alabama. And this increases the need to use the Transatlantic Trade and Investment Partnership (TTIP) to increase the pressure for a decent voice for workers in the US on the European model.